In 2017, Zahra Media Group merged with eumom, Ireland’s largest and most engaged parenting community. The two companies are a perfect fit because they combine the power of a community brand with the strength of a solid content and publishing background to create a one-stop shop for any brands wanting to target young families in Ireland. “Statistics are great but when mums and dads get behind our product and vote for us at the NPPA it makes it all the more worthwhile.” — Pauline Harmon, Dorel Ireland. Want to see how we can help your brand better connect with mums in Ireland? Send us a note or give us a call at 01 255 7566. As Ireland’s largest and best-loved parenting community with over 300,000 registered members, everymum is committed to facilitating relevant cross-platform communication which adds value and connects mums with useful brand messages. There are expert-led articles, native content (both video and display), large engaged social media channels, an email database with 170,000+ opted-in mums and unrivalled research pertaining to family purchasing insights. 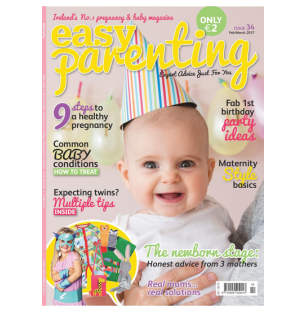 Easy Parenting magazine offers expectant mums and mothers of small children advice on all aspects of her pregnancy journey, early motherhood and beyond. 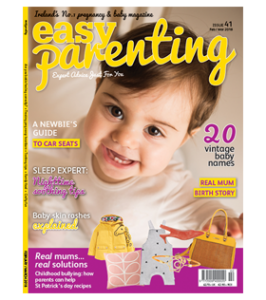 Packed with information, Easy Parenting is easy to navigate and includes four sections — pregnancy, precious beginnings, just for you and family. The magazine has a diverse nationwide distribution through all good newsagents, supermarket chains and home delivery. Zahra Media Group teamed with Millward Brown to develop the National Parenting Product Awards. The objective is to independently and rigorously test products in the parenting category among consumers and experts. The results of the testing are published in the National Parenting Product Guide, the first consolidated source of information for parents and parents-to-be in Ireland trying to select the right product for their babies. The Ultimate Maternity Guide (UMG) is a glossy 200-page publication created especially for expectant mums. It contains all the maternity and baby information an expectant mother needs in one book. Designed in an attractive consumer-friendly style, the guide brings the pregnant reader through the whole journey of pregnancy, explains the labour and birth process, offers essential newborn care advice plus important information for the first 12 months of a baby’s life. 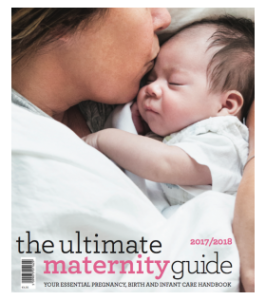 The Ultimate Maternity Guide reaches 43,000 expectant mothers and is distributed via seven maternity hospitals in Ireland and is also sold on the newsstand (10,000 copies) and via antenatal clinics throughout the country. 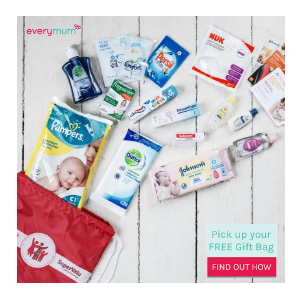 The free everymum gift bag is created to help mums celebrate their pregnancy journey. Working with brands, everymum stuffs the bag full of product samples, useful coupons and informative leaflets. Once a pregnant mum joins everymum, she can download the voucher for her gift bag and pick it up at her local SuperValu store. The Pregnancy Information Pack (PIP) is normally handed out at the woman’s 12-week appointment and includes the eumom Pregnancy Diary, leaflets and hospital-specific information. Whether it’s getting mums together for a coffee morning or helping a brand spread the word about a new product, everymum and Easy Parenting have organised events to make it happen. We have an ideal meeting spot in our beautiful office in Bray or can host an event onsite in different parts of the country. Connecting mums with relevant brands is something we do in print, online and in face-to-face settings. As Ireland’s most trusted pregnancy and parenting community for mums, eumom is a wonderful resource for brands looking to connect with Irish parents. We have a community of 176,000 opted-in mums who are highly engaged and ready to tell you exactly what she thinks. 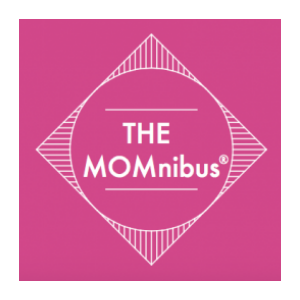 Introducing our two newest research offerings: Mum Knows Best bespoke online surveys and The MOMnibus. Our goal is to provide easy ways that brands can tap into the insights that moms share when answering a trusted survey. Both of these options offer “actionable, insight-led research” that can suit any budget. Download our NUK case study to see how we connect brands with mums!